Stay ahead of the game, with the help of our superb business seminars delivered by Key Industry figures. No pre-booking required to take advantage of this FREE expert advice! All seminars will take place in the Presentation Theatre. No booking is required but it is advisable to arrive early to get a seat. Linda will be presenting our second exclusive and insightful report into the craft industry, focussing on consumer changes and providing guidance on how to satisfy consumer needs better. 11.00am WHAT MAKES YOU A GOOD SALES PERSON – SELL WHAT YOU LOVE AND LOVE WHAT YOU SELL! This presentation looks at the fundamental attitude to selling your products rather than equipping you with sales techniques, which can appear superficial and staged. If you want to be authentic and feel passionate about sharing what you do or sell then, this presentation is right up your street! Steffi shares how to spot opportunities and be sensitive to your customer’s needs. James McIntosh, a life loving man, suffered a severe depressive episode that came from nowhere. His world imploded and in desperation found knitting was the cure. Together with his partner Dr Ernst they have combined knitting and mindfulness to produce a concept called Knititation. Come and find how to extol the wellbeing benefits of crafting to your customers in the session celebrating life in colour. 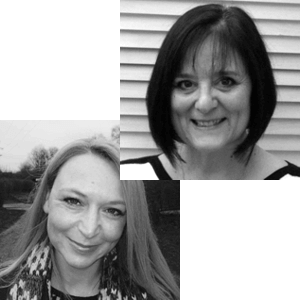 With over twenty years of inspiring over one million children and adults and nurturing creativity, Sarah shares practical tried and tested activities to help you connect and inspire with your current, past and future customers. This is a talk that will have your brains buzzing with innovative ideas to implement in your business straight away. 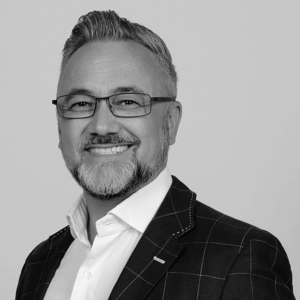 In this thought-provoking presentation, Warren will demystify how your online customer is “thinking” and why every business owner, entrepreneur and sales & marketing manager in the craft industry must integrate a digital marketing plan into a sales and marketing strategy and utilise Social Media, Content Marketing and Email Marketing to generate leads to win new business. 4.00Pm DRESS TO IMPRESS: HOW TO TURN YOUR WINDOWS INTO YOUR BIGGEST SALES TOOL! If eyes are the window to the soul, windows are your eyes to your customers! With so much competition from online competitors and budget retailers, today’s high street stores need to work twice as hard to stand out from the crowd. In today’s society first impressions really do matter, so the same principle applies to your shop front. Using everyday tools, simple techniques and cost-effective decorations, learn how to maximise the impact of your most valuable marketing asset and create seasonal window displays to wow your customers and get those tills ringing! 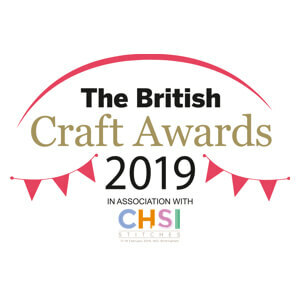 Join Immediate Media from 6pm on Sunday 17th February at NEC, Concourse Suite for a glass of wine, nibbles and the presentation of the 2019 British Craft Awards! 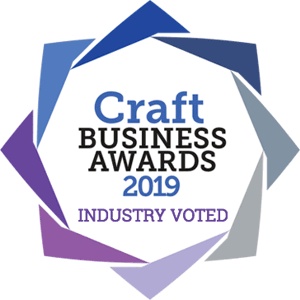 Voted for by readers to some of the best-selling craft brands in the world, and started in 1999, this year we’ll be celebrating 20 years of crafting achievements! With over 30 craft excellence awards to announce on the night, recognising amazing achievements in sewing, knitting, cross stitch, crochet and quilting, it’s the biggest networking event at CHSI so make sure you don’t miss it! 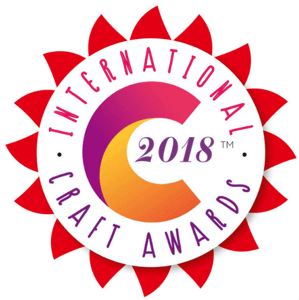 Celebrating the brands, producers, designers and retailers that have made their mark in the craft industry this year, Aceville Publication’s International Craft Awards are nominated and voted for by readers and on-line visitors of Craft Beautiful. Over 26,500 votes were cast in categories including best online brand, best international brand, best for quality and best blog. Don’t miss the chance to discover who the winners are and meet some of the biggest names in crafting. 11.00am DRESS TO IMPRESS: HOW TO TURN YOUR WINDOWS INTO YOUR BIGGEST SALES TOOL! 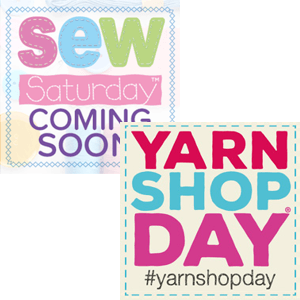 Yarn Shop Day and Sew Saturday are two exciting campaigns in association with Let’s Knit magazine and Sew magazine that support the craft industry’s independent retailers and high street bricks ‘n’ mortar stores. Hear from the passionate teams who launched these initiatives and made them into the successful calendar events they have become, then find out how you can get involved to raise the profile of your business. You won’t want to miss the insights, expertise and tips that this seminar offers. Steffi looks at reasons there has been a craft explosion over the last 10 years, and what values and motivations people associate with doing crafts. What does crafting mean to individuals, families and communities, and how does it help people? What does it mean in modern times to hand make items? How can the industry support makers and get more people interested in crafting? This Presentation is aimed at those who own their own crafting businesses, run craft groups, teach or just want to get better results in selling crafting materials. You will discover real insights to take away and turn into positive actions. The Craft Business Awards, in their 14th year, are back, bigger and brighter than ever before. With new categories (including NEW Elite Industry Award categories) and a new glittering panel of star-studded judges, these standard-defining awards not only mean status for the winners, but better business too. Don’t miss the chance to find out who the winners are at this glitzy champagne awards reception, where you can enjoy the chance to network with some of the judges, other award winners, the Craft Business magazine team and Aceville’s craft department’s journalists. 9.45am WHAT MAKES YOU A GOOD SALES PERSON – SELL WHAT YOU LOVE AND LOVE WHAT YOU SELL! 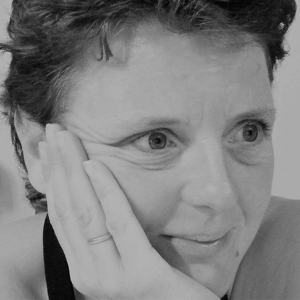 Steffi Stern has extensive experience in the crafting industry but also as an experienced business leader, entrepreneur, designer maker, author and mother of four. Steffi grew up in Germany and moved to the UK in her early 20s, she was a UK company director at the age of 27 and loves building businesses. 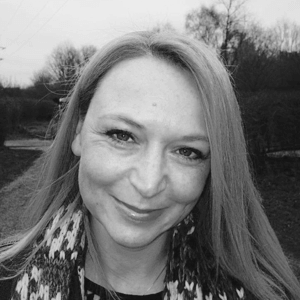 Steffi has an MA in Management Learning and is a qualified Myers Briggs Type Indicator, as well as Belbin facilitator and has studied Gestalt in Organisations for two years. As a child she crafted freely and confidently as part of her German culture, and today runs a successful craft business The Makerss with her business partner Sophie Buckley. She has written two books on needle felting and a third on making dolls, will be out in 2019. Steffi loves combining her business experience with her passion of crafting and helping others to craft. James, a life loving farmers son from N. Ireland, who lives in London had a successful global business travelling the world for clients in the food world. A winner of many global awards, James wrote and presented cooking books for clients like AGA, Rangemaster and China Food TV. James was honoured for his work in 2012 by Farmers Weekly magazine when named ‘an ambassador for British Food’, he is the first ever Westerner to receive the Chinese TV and Radio award (Chinese equivalent to a BAFTA) for his TV series. At the height of his TV in China James was getting over 100 million viewers. All of this, and more fell by the wayside when at the age of 35 James suffered a severe depressive episode. Confined to his bed for a year, James struggled with anxiety, panic attacks and constant sadness. During this time James learnt to knit and together with Dr Thomas A. Ernst FRCP James learnt to rebuild his life and mind through knitting. Knit and Nibble is James’ new book, which won the gourmand World Cookbook Award for the most innovative cookbook in the world. 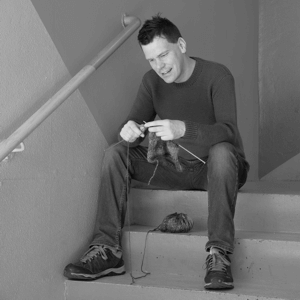 Now 40, James is the picture of health and vitality and credits it all to the mindful benefits of knitting. Dr Ernst, a senior consultant general physician in a large London teaching hospital. He has a specialist interest in the use of Mindfulness based interventions in the complementary management of chronic medical illness. 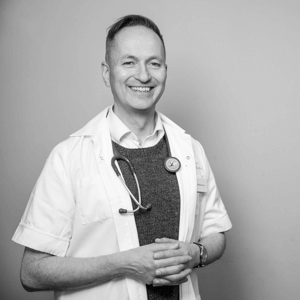 In that he focuses on improving patients symptoms and wellbeing by teaching bespoke mindfulness based strategies. Dr Ernst trained at the Goethe University in Frankfurt am Main, Germany and qualified in 1993. 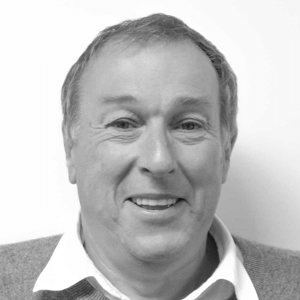 He has been working as a trainee Doctor in the UK from 1994-2005 and subsequently as a Consultant physician and geriatrician. He has extensive experience in the management of chronic medical illness and black outs and funny turns. 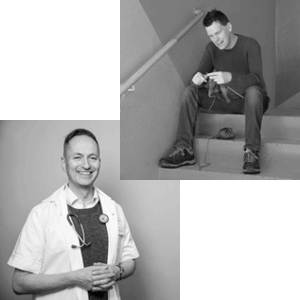 Dr Ernst is the partner of James McIntosh and together they have developed the mindful concept of knititation. Sarah Cressall is a number one bestselling author, speaker, multi-award-winning entrepreneur and founder of the UK’s leading creative activity company The Creation Station Ltd. Over one million children and adults have been inspired by the award-winning classes, parties and events delivered by the fabulous family of over one hundred Creation Station franchise owners. Sarah believes creativity is the currency of the 21st century and is essential for education, entertainment, wellbeing and our economy. A top 100 Global Influencer, Digital Marketing Strategist, award-winning entrepreneur and professional Speaker, Trainer, Coach and author of Think #Digital First with over 10 years experience online. 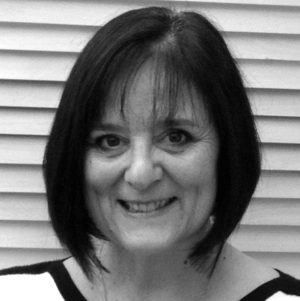 Linda Jones is an independent research specialist, who has run her own business for over 30 years. She has worked with ICHF’s parent company TI-Media for much of this period and has a particular interest in home décor, craft and consumer media. Paul Wright a lifetime avid crafter and childhood fan of Blue Peter, Tony Hart and others who stimulated children to get art and crafting. He conceived and launched Create and Craft the world’s first 24-hour live broadcast, interactive dedicated Craft Shopping Channel in 2003. He successfully exited this business five years ago and retired. However, bored by retirement in 2015 together with his business partner Val Kaye they founded and launched HOCHANDA – Home Of Crafts Hobbies AND Art a new shopping channel showcasing a much broader range of art and crafts available to a worldwide audience on-line via HOCHANDA.COM. 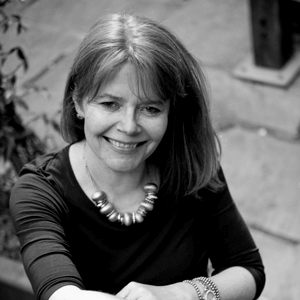 With qualifications in both display and interior design, Nicola Lugard-Davies has spent 20 years window dressing around the world, which has given her a wide range of knowledge and experience, and a real flair for what works in the real world. 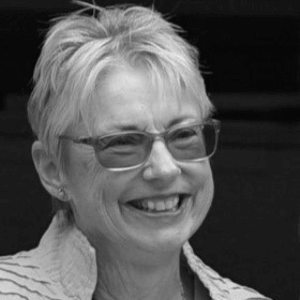 As well as many years working in the UK and Europe, Nicola spent time as a visual merchandiser in Australia. In this role she was responsible for planning store layouts and the training of internal staff in the skills needed for visual merchandising, so is ideally placed to pass on the tricks of the trade. She has worked with everything from toys to furniture, and can always ensure that whatever the product, it’s always shown off to its very best advantage. Liz Rivers has been working as a window dresser for nearly 40 years, and during her time has certainly created some challenging displays. From Christian Dior showrooms, to exhibition stands covered in cement mixers, to hairpieces for a high street hairdresser, Liz has turned her hand to making even the most unglamorous items look exciting, and is perfectly placed to pass on her time-honed skills. From creating wedding dresses on mannequins with lengths of dressmaking fabrics and a handful of pins, to the proper grouping of small items to really ensure they make an impact, Liz is able to use her knowledge to create unforgettable window and interior displays.